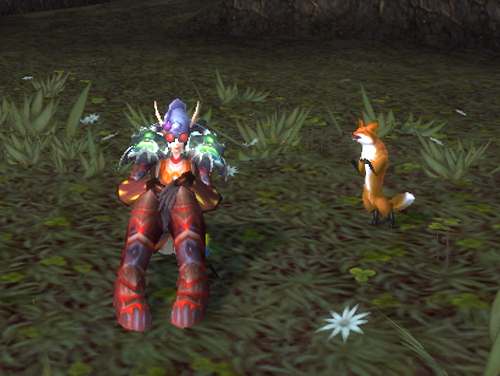 Today I finally saved up enough Tol Barad Commendations to buy the Fox Kit pet. This brings me to 327 pets overall and 146 unique pets. Only 4 more until I get the Littlest Pet Shop achievement and the Celestial Dragon pet. Bring on the pet battles!!! The dancing animation really is awesome. @Cymre ~ Thanks. I should have that last four a few minutes after pet battles go live. @Erinys ~ Thanks. I agree, that dance animation pretty awesome!